paul gregutt's washington wine blog – unfined & unfiltered: what your tasting room host really wants to tell you! what your tasting room host really wants to tell you! The people who work behind the counter in winery tasting rooms may be the least-appreciated, most-abused workers in the wine business. For minimal pay, they must constantly put on a cheerful face, repeat the same mantra about passion, terroir, and barrels, endure the slings and arrows of inebriated meatheads, and do their work amidst constant turmoil and disruption. There are some things that should not be tolerated in a tasting room. Not just for the sake of the employees, but out of respect for the other patrons, and for the hard work and talent that has gone into the winemaking. But your friendly wine pourer will never tell you Mr. or Mrs. Consumer, that your thoughtless disregard for common courtesies is REALLY CHEESING THEM OFF! So I will pass along some choice comments. Unedited. From the people in the wine pouring trenches. I encourage you to ask yourself "is this moi to whom they refer?" "There seems to be this thing out there, that tasting is all about getting the buzz on, vs. getting an education about what is happening in the vineyards or the cellars, or learning about the specific wines the winery is selling. Can we mention that tasting is all about buying good wines from the winemakers, learning to pair wines with foods, sampling new vintages etc... not about getting a buzz on." "A ride on a tour bus/van/limo should not give you a sense of entitlement. Sharing a glass to avoid a $3 tasting fee is tacky and a sure sign that you aren't there to buy. And just because your dog can fit into a purse does not mean you should take it everywhere with you." "Pay the tasting fees if you are not purchasing. Again and again they sneak out without paying for their tastings, or they think that if one person in the group of 7-8 buys one bottle that the rest of them don't have to pay." "In a busy tasting room, please get your pour and move away from the tasting bar to make room for others to enjoy as well. It's irritating to try and taste when people refuse to move, and harder for those who work the tasting room to keep people moving." "Don't pull your glass away or raise it up mid-pour, if you think it's too much for you, dump or spit. I can't tell you how many times I've poured wine on the bar or floor when someone pulls their glass away." "I like coffee as much as the next person but not while wine tasting. Please don't walk in the door drinking your Starbucks or Big Gulps." "Don't wear perfume or cologne. Wearing a scent in a tasting room - men or women - is offensive to everyone trying to enjoy the wine tasting experience." "Turn off your cell phone. Don't be on the phone and wave your glass around for another taste. If the call is important, take it outside." "Don't be the loud person - use your inside voice. Nobody cares what you have in your cellar. Ask the staff questions about their wines if you're looking to purchase. Otherwise, you are wasting their time." "Don't over-consume and expect to be served. Pace yourself. And don't forget your ID." "Have the courtesy to call and cancel an appointment if you can't make it. And don't walk in and ask 'What's the highest scoring wine?'" "Don't scoff at the price of a wine. If you don't know why a winery prices its product as it does, ask them what makes their wine special. That way you will learn why it is valued as such." "It is also not cool to think you are the only one in the room with questions. Don't tie up the server's time with a bundle of questions others especially if you are not going to buy a bottle. Keep your comments to yourself, especially if a wine doesn't agree with your palate or you feel the price is high." "I remember having a guy from somewhere in the mid-Columbia region who demanded his 'industry discount' because he worked at some chemical/fertilizer place. He was almost militant about it. Talk about a stretch!" "Don't abuse the hospitality of a winery by showing up at closing time and expect the staff to keep pouring you wine (and you have no intention to even buy a bottle) while you wait for your dinner reservations. Tasting rooms are exactly that – tasting rooms. Not personal cocktail hours." "Save your high heels for going out to dinner. If you wear them to go wine tasting then you won't be able to do all the cool stuff. Many cellars have open grate metal walkways and slippery floors from rinsing out tanks and barrels. In addition, you might as well sit in the tasting room looking pretty, when everyone else heads into the vineyard with the winemaker." "Don't walk in and tell me what a wine expert you are, however you only drink reds. If you are really a wine expert, you will take an opportunity to try the white wines and even the dessert wines. Open the wine mind, people!" After spending several years on the other side of the counter I applaud your compilation of quotes. The one that used to really get to me that did not get mentioned was how many guests would take a sip and look up and say "That tastes bad, don't you think that is really horrible wine?" it really happened a lot more times than I could have ever imagined before I had poured for over a year.After my first year nothing surprised me. Merlotman, I'd love to see this done as a poster. Needs artwork though. Daniel, great idea! I will follow up sometime down the road a ways. Josh, you are a kindhearted soul. Great minds think alike! Love it! Once had a chippie inform me that I should go to a particular tasting room because they pour "HUGE" servings. And she had perfume on, too. It's funny, but if you go to a bar from 11 in the morning until 5 in the afternoon, you're an alcoholic. If you go wine tasting, you're a connoisseur!! What tasting room folks need to do more often is cut people off who are inebriated. Few of them have the experience or courage to do that. That cures drunken behavior, stupid behavior is simply incurable. What if a tasting is $10+--is it insulting to share then? Many wineries view the tasting room as a revenue source purely from the tastings themselves. It's a bit paradoxical when wineries want you to taste to buy, but then charge enough that two tastings could almost buy you a full bottle. Totally agree with most of the quotes. I like to learn when tasting, and the limo and bus crowd totally ruins the atmosphere. I hate the counter crowders who won't let anyone else in, either. I get my pour and head for greener pastures when it's elbow to elbow! I agree with most, but take exception to the one about sharing a glass. My wife and I regularly share a glass, even when there is no tasting fee. We are there to taste, not to drink, and usually get by with the single pour. Actually, we have found most tasting rooms to appreciate that. Regarding the comment from Mark Hinton, it is amazing how many times we have encountered corked wines in tasting rooms, and the bottle is more than half gone. Most of the time the tasting room is appreciative about us bringing it to their attention. Sad to think how many people walked away not liking the wine without realizing it was bad. The few times that the person pouring wasn't appreciative is when the he/she couldn't tell. Truly sad, but often it is an educational moment for them. I have to agree when it comes to high tasting room fees. We have almost stopped tasting in the Willamette Valley because of this. Ten to fifteen dollars for a single tasting has become the norm, with nothing waived unless at least two bottles are purchased. On several occassions, we have had two tastings and one bottle cost $70-$90 for just one winery visit. It is one of the reasons that we find Walla Walla so refreshing. As you know - Steve and I recently sold our winery so we are no longer in a tasting room as producers. The thing I miss most is the opportunity to educate and 90% of the time we had visitors / tasters who really wanted to learn. It made our experience behind the bar so fulfilling. What I won't miss are the folks who would, after taking a taste of wine that we worked so hard to produce and stood behind in every way, would comment "This is not so bad!" That always cracked me up...! Oh, and this blog is not so bad either! Winery grounds are not public parks. If you visit and use the facilities to picnic, play a lawn game, ask for a tour, etc. then please consider buying a bottle of wine from the establishment. Groups and limos: please do not bring alcoholic beverages (e.g. wine from another winery) or beer and expect to be able to drink it on the property. Not cool and very illegal for the winery. Ain't it the truth..and I just had to add my 2 cents worth. After 800+ wine tours..I have seen all the above..but work hard to keep this kind of behavior from being part of A Nose For Wine Tours by "qualifying inquiries" before excepting them for a tour. I GET to pick who I spend a day with! When I hear "can we drink in the van? "..eh no..and here is someone else to call who might tolerate that poor behavior. I send people some guidelines for the best possible wine tasting day and people appreciate the treatment they are going to receive by acting appropriately. Act like you are in someones home..not another wine bar! No perfume or heavy cologne..duh..goes with out saying..and if we go to a requested winery and the limo/poser & pretender crowd is there acting up...we DON'T go in.. By fitting the wineries to the economics of our guests..they are provided "wine tasting and wine purchasing" opportunities. The tasting rooms can do themselves a great service by making the tour operators "responsible" for their guests behavior. "We reserve the right to refuse service to jerks.." Just good business! On the rare times when Dani and I do get out to do some tasting at other wineries we often share a taste. Mostly we do this to cut down on our drinking. I never think less of any customer who shares with another. they by more often than not. As for tasting fees, consumers need to remember just how far that $10 spot would go at a wine bar. At my winery, we put the tasting fee towards any purchase. If you cant find something you like, or not in a buying mood, well then you've just got a great 6oz glass of domestic wine for $5. Fare enough. If you think the tasting fee is too expensive, stay home, if you think the wine is too expensive stay home. Go to your supermarket get yourself a bottle of folie a deux and poor your glass as high as you want. Let the rest of us enjoy your wine tastings without your terrible boorish company. Nice post. I've encountered many of these things myself too, as many here have noted. I would agree that yes, sharing is OK with me—some places do have steep fees and don't make it easy to waive those fees with purchases (ie: you have to buy 6 bottles, or a certain dollar figure). Tasting fees shouldn't be about collecting fees ... make it an opportunity to sell a bottle. 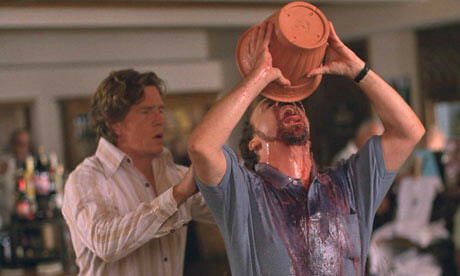 I love the idiot who thinks its ok to pour their own wine or come behind the bar. The raising of the glass while I pour is public enemy #1. "Don't pull your glass away or raise it up mid-pour, if you think it's too much for you, dump or spit. I can't tell you how many times I've poured wine on the bar or floor when someone pulls their glass away." - #1 Pet peeve! Definitely second that. I highly doubt there are many (if any) tasting rooms looking to tasting fees as a way to MAKE money...recoup of costs maybe. Do the people that complain about tasting fees understand the costs involved in pouring wine samples? The average winery produces 3-5 wines...sometimes many more. That can quickly add up to several hundred dollars worth of product per week. These pours if combined will easily equal a glass of wine or more...unless you are ordering a glass of White Zinfandel from the neighborhood Granny's buffet you will be hard pressed to find a glass of wine at or under what a tasting room would normally charge for a fee. One serious ramification of crude tasting room behavior hasn't yet been mentioned: it scares off serious and well-behaved customers. If I walk into a tasting room and find what appears to be a party in progress, I'll walk back out and take the opportunity to explore someplace quieter. I've discovered a few new favorites by heading away from the raucous crowds in Woodinville and Walla Walla. The one point on the list to which I take exception is "No kids." As a kid who more or less grew up in tasting rooms, watching my parents taste and listening to winery staff comprised a large part of my wine education before I hit legal drinking age. Of course, I wasn't running amok and screaming at the top of my lungs, either. Whether or not to bring a youngster should be the judgement call of a responsible parent with the problem being, of course, that too many parents aren't responsible. I would hope that tasting room staff would therefore take a moment or two to assess whether the child is well-behaved and interested in the proceedings versus a public nuisance and safety hazard before asking anyone to leave. Incidentally, both my parents and my childhood self hugely appreciated wineries who offered kids a glass of water or maybe even grape juice, recognizing (I hope) that they have their future customers at hand. Re: tasting fees, I have to agree that they are more than fair here in Washington (and as far as I know, in Oregon also). Take a trip down to Napa and you will see what exorbitant tasting fees are. It costs money to run a tasting room people. It's not set up strictly for the pleasure of party-going freeloaders. As for kids in the tasting room, Erika makes a great point. BUT... this is a situation where a few irresponsible parents can ruin it for everyone else. It should not be the job of the tasting room manager to be a kiddie cop on top of everything else. And let's face it, some parents will not do the job of controlling their little ones. That is the reality. So I am on the side of the no kids lobby. Keep those comments coming; this is obviously a hot topic. Distracted parents make for poor tasters..and that is just the beginning. When asked if my guests may bring a child along...I explain not only is it a long day for the kid..but..tasting certain wines..like many PINOT NOIR..requires "focus" to recognize and appreciate what the wine is all about. If it is "Johnny cut that out..don't kick the winery dog..you break it..we have to buy it" all day, people are wasting their time & money going on a wine tour. GET a sitter..and enjoy a day full of memories is my advice. Cell phones. You're on vacation for Chrisesake! Let it go. You don't have to post to Facebook that your are standing at the bar of ABC Winery. Wine snobs. I go in the kitchen and put my finger down my throat. I'm a judge at a commercial competition. Don't try to impress me. Fortunately, our winery doesn't get a lot of them. The "I only drink..." person. Do you only eat red meat? Have you tried a cool white wine on a hot day? Sharing samples? I encourage it. I went to a big winery in Red Mountain. $24 tasting fee. I bought one flight, my friend bought the other.We had a great time and didn't feel the need to buy wine that was out of our price range. Actually, our tasting room crowd has been quite pleasant lately, but our winery is set up to handle a lot of people. Even bachelorette parties buy. A couple came in today 15 minutes before we open, I greeted them and told them to give me 10 minutes to get everything set up, they responded they were happy to taste while I set up. Really? Oh thank you. Next. A group of 18 came in this afternoon, no prior phone call or notice, just dropped by. My assistant was at lunch, and I had a group of 12 and three other couples visiting. Give a call if you're a large group, that would have allowed me to plan accordingly. oh, and large groups? One or two people out of 18 does not waive all tasting fees. This is not an open bar.. Thanks for giving us all a chance to vent. I'm an importer and internet-only retailer who does free tastings around DC. Not at wine shops, but at other retail stores (chocolate, antiques, cards/gifts, art galleries, etc). I don't expect everyone to like everything and don't get overly sensitive about critical comments, but I really hate it when (1) people say they don't like a wine and then won't say what it is when I ask them (nicely). They could try to be a little friendly and I'm always up for constuctive feedback. Speaking of friendly (2) the customers who don't say anything but just hold up their glasses and point at a wine drive me nuts. I understand if you don't want to try and pronounce it, but could you at least ask to try it as you point at it? The other thing is (3) people grabbing the bottles to pour their own, which is illegal anyway and of course they then pour themselves a whopping amount under some sort of sense of entitlement. I give generous tasting pours and encourage people to come back for more, so please don't think you're that important. Wow -- feels good to get that off myt chest! Sadly, none of the perpetrators will ever read this blog. Thus, Merlotman’s idea for a poster sounds like a great one – even better than a grape varietal table or a wine country map! When I mentioned customers exclaiming "Wow this is really bad don't you think it is bad?" That was not a reference to corked or TCA tainted wines.I can smell corked wine from five feet away, and have raced to the other side of the counter to pull the glasses and the bottle from customers and Tasting Room associates (who obviously needed more training) before a flawed wine was consumed. I was referring to customers who for whatever reason did not like the wine and wanted an employee to validate their assessment of the sample. I am proud to say I have always poured for wineries whose products I was pleased to pour otherwise I would not have been there. I'm glad to see that others feel the same, I do a lot of tastings for producers in different environments and there's always alt least one indignant person who, while proclaiming to be an expert, says: "I only drink red wine", "this isn't Zinfandel, Zinfandel is not red! ", or something along those lines. I hate people touching my open bottles. I usually leave an unopened bottle in front so if someone needs to touch the bottle, or review the back of it they may, it I get a rowdy crowd I use an empty to a full one doesn't decide to run away from the counter without stopping at the register. If someone does try to pour their own, I inform them that it is illegal and we aren't going to put the license at risk. I've actually had one person bring wine from his cellar to a tasting so he could show it off to the other "less knowledgeable tasters"! It wasn't even from the same region. When people really want to learn about the wines I'm pouring - it is a delight. It's interesting how many of those comments are just as irritating for me as a taster as they are for those pouring. Having to stand next to loud, drunk, over-perfumed people while tasting makes me do a quick run for the exit. 1) Tasting room staff should be trained to know a flawed wine -- OK, at least to know if one of their wines in corked. 2) Please tone down the hard sell on your wine clubs - it's frustrating and distracting while I'm trying to learn about your wines and taste them. 3) If you're going to have the "special bottle" you only pour for some customers, be really discreet about it. Nobody wants to feel like a 2nd-class visitor. 4) Make it easy for tasters to spit -- have spit buckets widely available. And, for god's sake, don't give me a dirty look when I do spit in the spit bucket (actually had one place tell me I couldn't spit in their tasting room!). 5) I assume the ultimate goal of your tasting room is to sell your wines. Once I've paid the tasting fee, the best way to ensure I'll buy at least one bottle is to credit the tasting fee toward my purchase. Putting a min $ or quantity purchase before crediting the tasting fee is penny-wise, pound-foolish. I agree with most of the comments about bad tasting room behavior but come on... It's "tacky to share a a $3.00 tasting" and people who share "don't buy wine?" I'm sorry, but my husband and I often share a tasting because we don't want to get drunk and don't feel we should waste wine. And then we buy wine. My tasting room experiences have been generally positive. 95% of the tasting room staff and wine makers I have met are fine, hard working, interesting people. As a wine consumer and tasting room visitor however, I also have a few pet peeves. I hate snotty wineries and wine makers. I hate it when I call a certain Walla Walla winery to make an appointment for a tasting (3-4 days in advance), tell them I'm going to buy wine when I come, and then they don't have the courtesy to call me back. I also hate being misled about the alcohol percentage and ingredients in the wine I'm tasting. Finally, I hate it when I go to a winery and the people in the tasting room know almost nothing about the wine they're pouring or the winery in general. There. I now feel better. A few modifications and this would also apply in any sales/retail setting!! Especially the dog and Starbucks/Big Gulp comments. Working in retail sales is tough enough as it is...when you use the sales floor as your personal garbage can just irritates us even more. I, too, disagree with the sharing is tacky stance. Quite often, my mother and I share tastings not only because she's selective when she's tasting (not because she's picky...she gets sick if she mixes too many wines), but sometimes it just makes sense. Why should she pay an exorbitant amount if she's only going to taste one or two wines???? Plus, didn't we all learn in Kindergarten that it was proper to share? A little late in contributing, but most of the items have been covered. After pouring in a number of tasting rooms as a volunteer as well as pouring for releases and big events (i.e. Passport and St. Nick's) it is good to see that most of my frustrations are typical and not unusual. I will say one thing regarding dogs. I have absolutely no problem with people bring a dog out to the warehouse wineries and the like in Woodinville. As an owner of a very well behaved and trained German Shepherd, I tend to take my dog with me as well. BUT, and there is a big but here, make sure you ask someone in the tasting room if it is a problem to have your dog in there. Most wineries there are really cool with dogs (as long as they are well trained) and many have dogs themselves, but I think it is still courteous/proper to ask prior to bringing in your pooch. It has been many years since I stood behind a tasting bar..............I really don't miss it! Thanks for compiling this list that made me laugh out loud in empathy/sympathy! How about some classes in tasting room CUSTOMER etiquette? After spending years behind the tasting room, I feel most of this pain. However, I do have to say I don't have a problem with ill-behaved children. I have a huge problem with their parents. Many times I was been expected by the parents to be the personal nanny minding the children. Wineries can be very dangerous places, when you consider the "tools of the trade." Also, parents expecting wineries to provide comp juice and soda for visiting children - - no. Wineries are not in the business to pour soda and juice. Child refreshments are the responsibility of the parents. Shall wineries keep baby formula and cookies around, too? Gluten free and soy only? Seriously, I really have no problem with children in a tasting room but parents need to respect other's space as no doubt many of the other parents visiting a tasting room have paid baby sitters to have an "adult only" day or weekend. Now as an owner of a wine shop I am faced with a whole different mindset. Like when a customer picks up an expensive bottle (only three left in my inventory and sold out at winery) and does not get why I won't open it up for them to taste? Or the woman who informed me what a wine connoisseur she was and then asked me how my shop worked? Was she to go pick out a couple of bottles and then I opened them for her to taste and then she decides if she want to buy an unopened bottle of the same? She wasn't interested in the wines the visiting winemaker was pouring that afternoon. What? Are there no wine shops where you live (Seattle) lady? "sigh"
This is hilarious. I especially loved the one about buses giving people a sense of entitlement. And you're right...so many people go with the intention of getting a good buzz. I am the wine consumer whose money you want. If it is one thing I have learned in life, it is that there is Money, and there is Stuff. Money always trumps Stuff. All of these problems occur (dogs, children, drunks, etc) . I would like to hear everyone's experience on ways they have been handled. Someone gave the idea of customers each getting their own dump bucket. More of this sound advice would help me out.